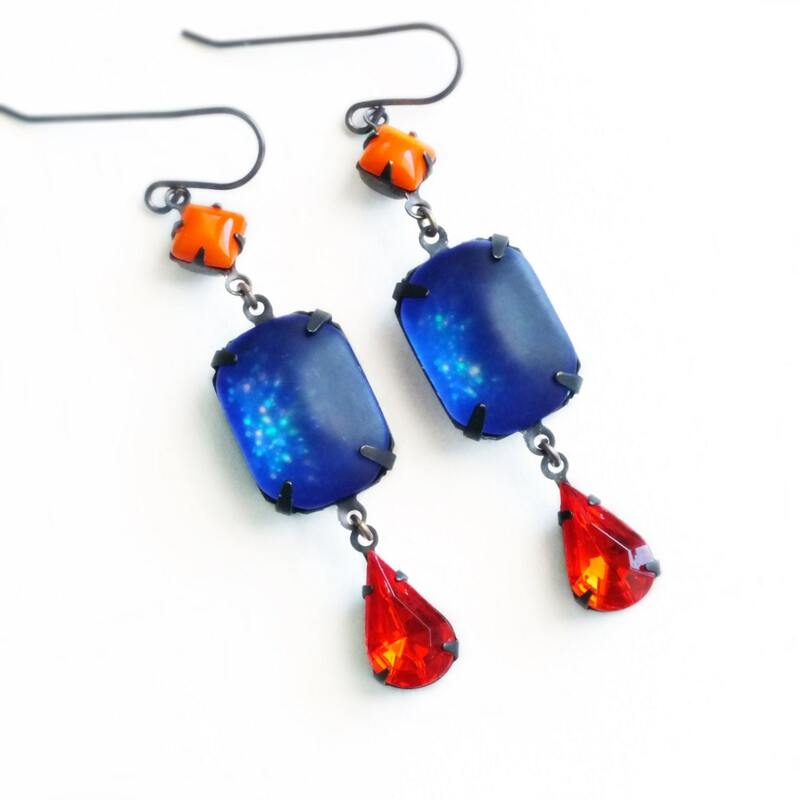 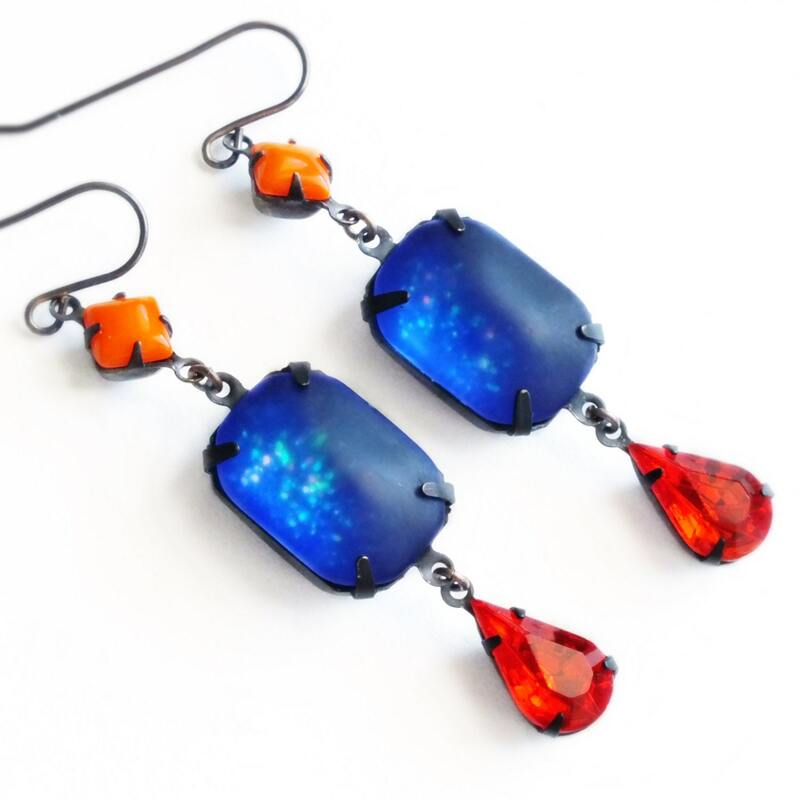 Handmade frosted blue earrings with vintage matte glass jewels and red rhinestones. 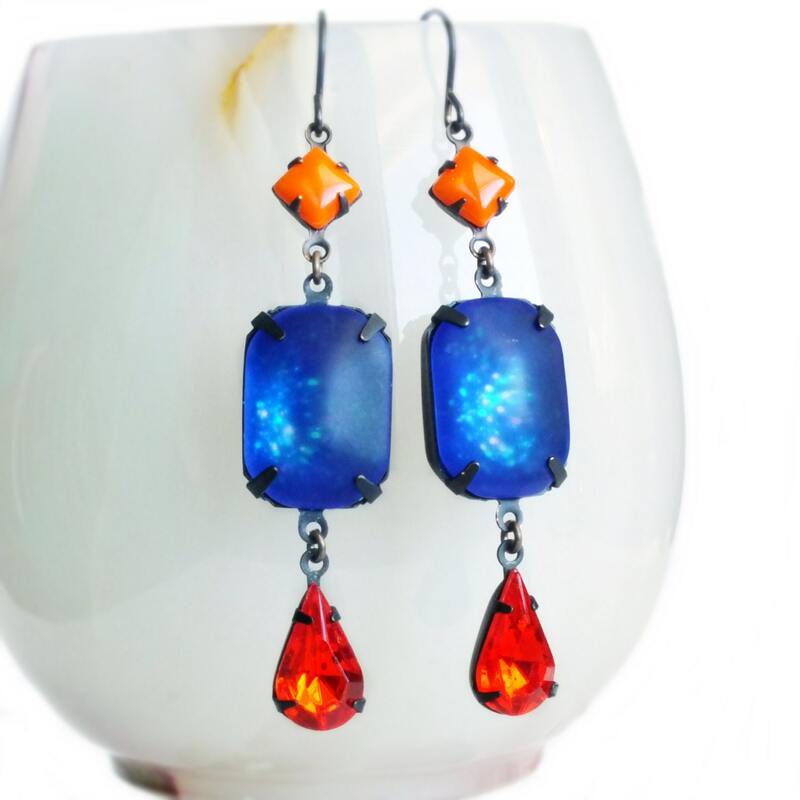 Made with clear vintage frosted glass stones I reverse painted an amazing royal blue with aquamarine glitter. 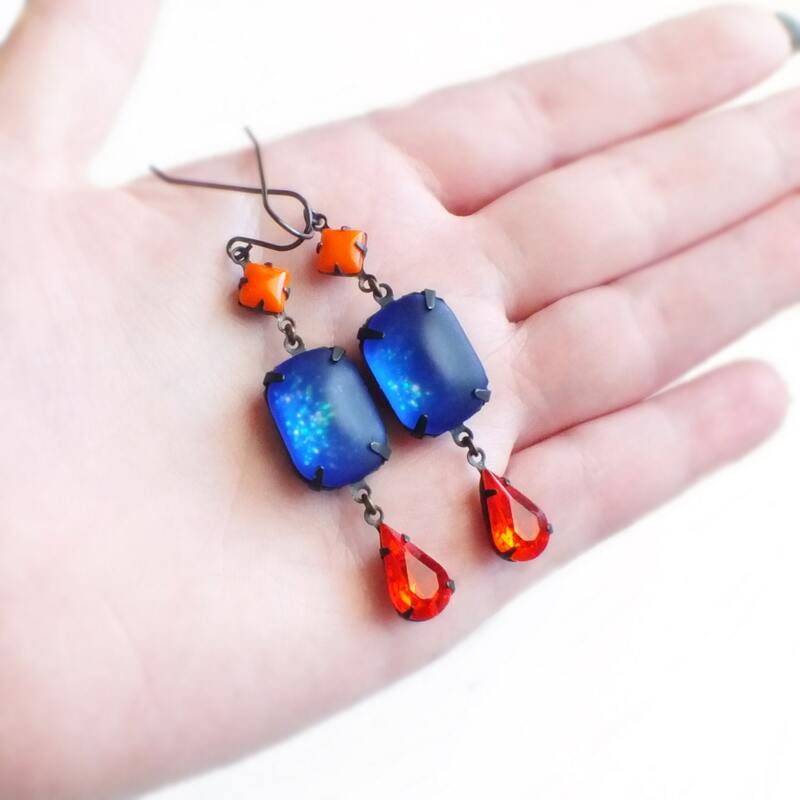 I love the dreamy effect! 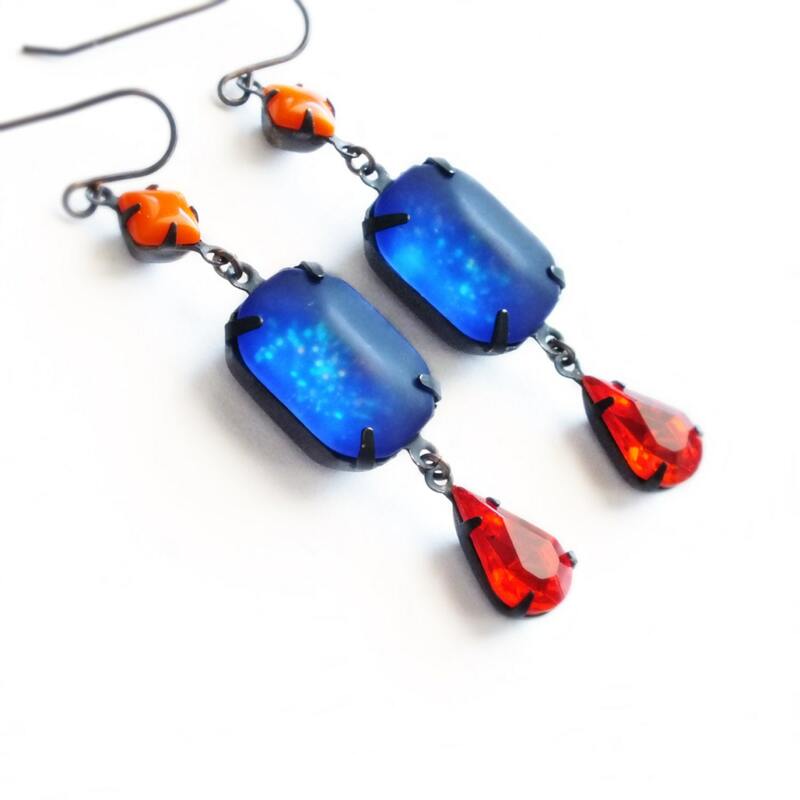 I adorned them with opaque tangerine and sparkling 'Siam red' rhinestone dangles.